COMMENTS : Quite a boring dress. It needs something more; an interesting neckline, belt or cuff detail. As it is it's just bland. COMMENTS : I voted this out because the sleeves are not very flattering at all. I agree with the other poster who said this should be 3/4 sleeves. Otherwise I think it's a nice dress. COMMENTS : Frankly, it looks boring for me because it lacks details and the color is not that attractive. COMMENTS : Similar to your Caroline dress, I prefer that one to this. COMMENTS : Would like an empire line type dress slightly longer sleeves. COMMENTS : This dress looks dull and not appealing at all. COMMENTS : It appears this dress is loose fitting below the waist along the skirt area. Not figure flattering at all. I DO NOT LIKE this dress, The fabric and color appear much too heavy to have such short sleeves and overall it appears very boring. 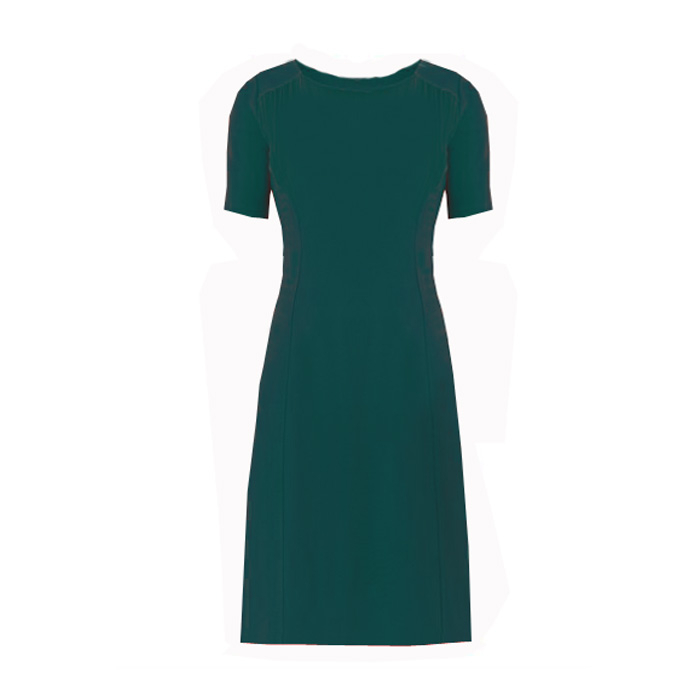 Perhaps in a lightweight fabric, with a more fitted lower half, as well as a much shorter length might make this dress a more appealing possibility. I would also change the color entirely to a brighter shade. I could see perhaps a bright teal with a wrap around waist changing this boring sack into a lovely piece that I would at that point find most appealing. I would also shorten the sleeves quite a bit as to look best with the summery look of bright teal as well as the lightweight fabric. Or keep them as is if choosing a linen fabric rather than a silk. COMMENTS : It's too dull. The neckline requires more detail and the skirt is not flattering at all. However, I feel that the short sleeves are interesting. Maybe a bright color would liven it up.